Published in 1847 under the author pseudonym ‘Ellis Bell’, Emily Bronte’s only novel is certainly a big player in the literary world. 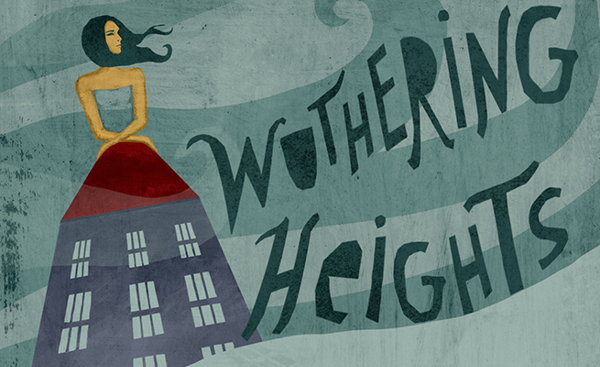 I have always known about how good Wuthering Heights is supposed to be. I’ve heard it called an English literature student ‘essential’ as well as always being ranked in Top 100 books of all time. So it’s fair to say my expectations were pretty high! I’m reading this one as part of my Revenge module, the first I’ve covered so far. It’s a story of hate, passion and love, and certainly isn’t one with a happy-ending, in my opinion anyway. Primarily, we meet Mr Lockwood, the new tenant of Thrushcross Grange who visits his landlord Mr Heathcliff and his niece and nephew, Hareton Earnshaw and Cathy Linton. They seem a little odd, but Lockwood becomes snowed in and must spend the night in a room once owned by a woman named Catherine. During the night he sees a woman’s ghost coming to the window. He promptly leaves Heathcliff’s residence at Wuthering Heights and returns Thrushcross Grange. He discovers that the housekeeper, Ellen Dean used to work up at Wuthering Heights and she agrees to tell Mr Lockwood the story of the family that used to live at Wuthering Heights. Mr Earnshaw brings home an orphan named Heathcliff, a grubby gypsy boy who is quickly accepted by Mr Earnshaw and his daughter Catherine, who becomes quite taken with the young boy. Hindley Earnshaw, dislikes the favouritism and after the unfortunate death of Mr Earnshaw treats Heathcliff like a servant and outcast to the rest of the family. Eventually, Heathcliff leaves to one day return and wreak his revenge on those still living at Wuthering Heights. Upon his return, he claims Wuthering Heights for his own and does his complete best to spoil the lives of those around him. This culminates in the beginning of the tale, and then Lockwood’s narrative neatly finishes off the tale. I really wanted to like the book after hearing all of it’s literary prestige but I did find it hard to get it into. Perhaps due to the time that is was written but there is endless reams of complex sentences and full descriptions that can become laborious to read, especially when they begin to hinder the pace of the plot. Don’t get me wrong, I enjoyed the description at the beginning of the novel, it set the scene, created the mood and gave vivid descriptions of the infamous Wuthering Heights. It just became frustrating to encounter such descriptions randomly placed throughout chapters. There was an attempt to mix the narrative voice throughout, although predominantly Nelly Dean, others filtered through to complete gaps in the narrative that she wouldn’t know without hearing it from said person. It was a good idea, but sometimes it lost a clear narrative voice and it became unclear who speaking throughout some passages. One aspect of Bronte’s writing that I did enjoy was the character development. I don’t understand how some readers can like Heathcliff, he’s a maniac! You do feel utter contempt for this character despite it only being words on a page. Bronte gives a fantastic example of how revenge can make you the worser party in a quarrel. This is the key message that I will be taking from the book and into my course. During Hindley’s mistreatment of Heathcliff nearing the beginning of the novel, we root for Heathcliff to stand up for himself. Yet we see how revenge consumed this character creating a demonic and evil character who rapidly becomes the antagonist of this piece. Bronte succeeds in making a very unlikeable bunch of characters, and my dislike for them was the only thing that really kept me going. Another interesting aspect was the supernatural feel created by Bronte. There seemed to be ghost walking the graveyards and the corridors of Wuthering Heights which adds to the atmosphere building around the two families. A slight word of warning about a slight character confusion I had whilst reading. 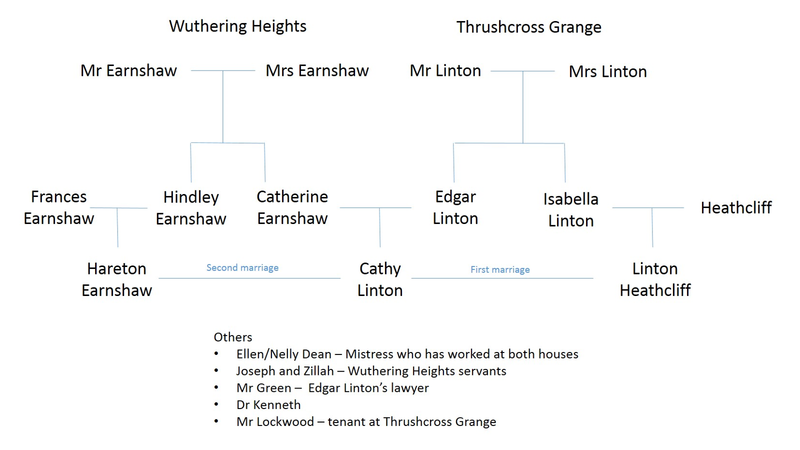 There are two main families the Earnshaws (who live at Wuthering Heights) and the Lintons (who live at Thrushcross Grange), although sons marry daughters and children are named after parents, and for me, it became so hard to follow. As I’m such a helpful guy I’ve made a handy family tree to show the character’s relationships to one another. Have this ready alongside the novel, so you can work out which Linton is speaking, as there is a lot of them! Overall, it was by no means rubbish or badly written, it was just very complex and not an easy read. Wuthering Heights makes the other books I have encountered so far seem like beach-reads as they by no means as complex as Bronte’s novel. I wouldn’t urge people away from the novel, it is still worth the challenge and you will definitely gain something from reading it. Next, I plan to watch a TV/film adaptation of the novel, so any recommendations as to which one would be greatly appreciated! ← ‘Deadpool’: What Is All the Hype About? I’ve just finished reading Wuthering Heights and I completely agree with your book review. I expected this novel would be like Jane Austen’s, since some people describes it as a love story that surpasses all life’s barriers, but I can’t define it as a love story at all: I think it’s marked by hate and resentment originated from a ”impossible” love between a selfish woman and a revengeful man.